Tomorrow, 20 August, marks 75 years since Winston Churchill took to his feet in the House of Commons and delivered one of his most famous speeches. 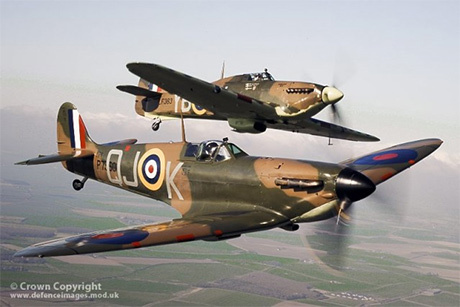 ... were the immortal words in which he paid tribute to RAF Fighter Command during the bloodiest days of the Battle of Britain, 18, 19 & 20 August 1940. And on September 15, Swindon will pay its own unique tribute to former Swindon pilot Harold Starr, one of ‘The Few', and who sadly died in the battle. 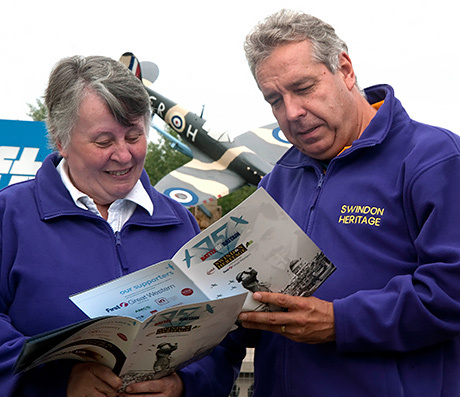 Swindon Heritage today announced that HRH The Duke of Gloucester will be guest of honour at ‘Swindon Remembers’, a commemoration marking the 75th Anniversary of the Battle of Britain. The ceremony, on Battle of Britain Day (September 15) will take place at the Commonwealth War Graves cemetery in Radnor Street, in front of a specially invited audience, including the Mayor of Swindon, Cllr Andrew Bennett, and other civic leaders. 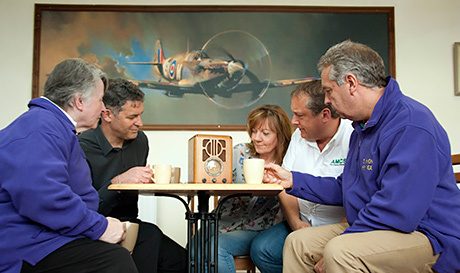 It will be a tribute to Swindon’s own Battle of Britain hero, Squadron Leader Harold Starr, and ‘The Few’ who fought in this vital battle in the skies over southern England during the summer of 1940. 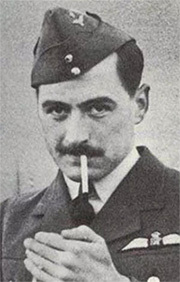 The Duke, who holds the rank of Honorary Air Marshal of the Royal Air Force, will meet surviving members of Harold’s family, including 93-year-old Peter Starr Mills, who is travelling from his Dorset home, and who last visited the central Swindon cemetery for Harold’s funeral on September 6, 1940. A spectacular flypast directly over Harold’s grave by Spitfires and Hurricanes of the Battle of Britain Memorial Flight in honour of the 544 pilots of RAF Fighter Command, who were killed in the battle, including Harold Starr, will close the ceremony. Later, His Royal Highness will attend Swindon Station to name a First Great Western Class 43 locomotive SQN LDR HAROLD STARR a fitting memorial that will be seen by thousands of people as it travels along the Great Western Main Line.